It's still all about the view, including this view of Mount Daly from the McLain Flats area, where a buyer paid $16 million for a home in 2011. 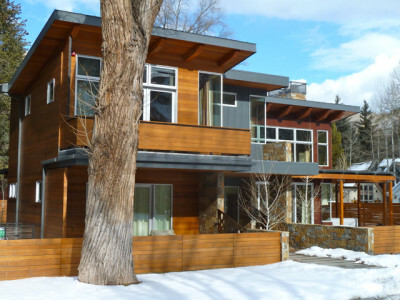 ASPEN – For many watching Aspen-area real estate, 2011 will be remembered for its large volume of high-end home sales. 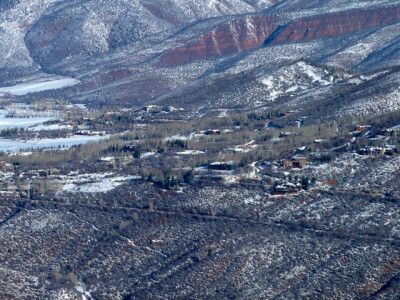 Twenty-two residential properties in the upper Roaring Fork Valley changed hands for $10 million or more last year — equivalent to nearly two each month. Those sales added up to more than $325 million, roughly one-quarter of Pitkin County’s $1.27 billion worth of property transfers — on less than 3 percent of the number of transactions. Clearly, the buyers of these luxury properties have not been too badly hurt by the Great Recession — yet they are price savvy, as many of the estates changed hands for significant discounts. Many of the properties had also been for sale for quite some time. Still, the new owners generally paid a higher price per square foot than other segments of the market. The buyers vary. They are self-made businessmen, heirs to ongoing concerns or international billionaires. Some have strong ties to Aspen and already own property here, while others are new to the scene. But what binds them all — a big league sports team owner, a major grocery store chain CEO, and an investor in Vail among them — is that they chose Aspen as a place to invest in both property and lifestyle. And don’t expect such high-end sales to stop or slow down anytime soon, said Andrew Ernemann, a real estate broker with BJ Adams and Company who has analyzed the sales. Aspen has always been an attractive place for the economic strata of society that has been doing particularly well in a given era, noted Ernemann. In the 1970s, a lot of Texas oil money was infused into Aspen real estate. Then came the New York banking and investment firm executives. Hollywood has always had a place here, and dot-com millionaires once kept real estate brokers busy. These days, international billionaires are in the mix. Last year’s 22 property sales for north of $10 million was not a record — 2006 takes that honor with 30 in Pitkin County — but it’s a close second if you study the details. 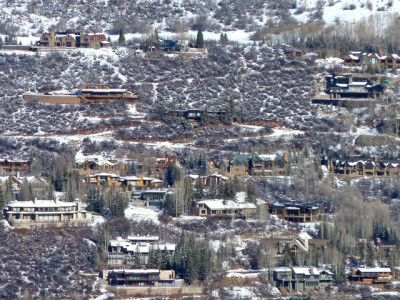 In 2006, at least five of the 30 sales were commercial properties or multiple lots, according to a search of the Pitkin County clerk’s database. On the 2011 list, only one (the most expensive, at $20.75 million) was a double lot with two homes on it, and we excluded the sole commercial transaction in that price range (the Silvertree Hotel complex in Snowmass Village, which commanded $38.75 million in June) in our analysis. 2007 was the only other year that was close in high-end home sales, according to Ernemann, who found 19 residential sales of $10 million or more that year. During the years of the Great Recession, there were fewer: 11 in 2008, 10 in 2009, and 12 in 2010. And prior to the boom years of the mid-2000s, less than 10 transactions each year hit $10 million, according to the county clerk’s database. But, said Ernemann, the trend toward such high-end luxury homes has been building for some time, even through the downturn. This past year, said Ernemann, that sentiment was even more true. But there’s one significant thing he noticed about 2011’s high-end sales versus those of the past: there were a bigger proportion of them, even in a recovering market. Up until the last couple months of the year, around one in every four home sales in Aspen was for more than $10 million, while normally the ratio was one in 10, Ernemann said. From Aspen to Basalt, 351 sales of condos, single-family homes, and vacant lots were listed in the MLS in 2011, compared to 260 in 2010. Every price range except the $7.5 million to $12.5 million range was at or above the previous year, he said. Certainly the higher-end customer had a lot of properties to choose from, after the spec-building surge of 2005 to 2008, Ernemann noted. Now, with the flurry of sales and the lack of new construction, that seven- to 10-year supply has dwindled to a three- or four-year supply. A larger-than-average inventory in an overvalued market likely made for some interesting negotiations over these high-end homes. The average discount between asking price (the price when it goes under contract) and sold price for the overall market was 11 percent, Ernemann found, but in the $10 million-plus range it was over 17 percent. The original listing price for four of the 22 properties over $10 million in 2011 was near or above $30 million, but none sold for much more than $20 million. A $20 million sale on Smuggler Mountain near the trailhead parking lot, for example, had had an asking price of $29,995,000. A Star Mesa home on 40 acres that was originally listed for $32 million sold for half that—$16 million. A few of the transactions bucked the big discount trend. A recently completed 11,000-square-foot home on four acres across from Aspen Highlands sold for its original list price—$14.5 million—after just 19 days on the market, according to the MLS. Time on the market varied from a couple months on the lower end to three-plus years, although sometimes a property is relisted, which may not be reflected in the MLS days-on-market number. About half were on the market around one year, and half more. Some, much more. An eight-bedroom home overlooking North Star Preserve east of Aspen spent 1,317 days on the market, more than three-and-a-half years. On the flip side, buyers of $10 million and up homes were willing to pay quite a bit more per square foot than most people — about 50 percent more, Ernemann found. The average price per square foot of the majority of the MLS-listed properties was close to $1,500, while in overall Aspen single-family sales it was $1,034; in Snowmass, $839. Part of the reason for the discrepancy is that the area’s higher-end homes tend to be new construction or significantly upgraded, as opposed to the tear-downs in the lower price ranges. “Buyers want really quality, well-located, investment-grade properties,” said Ernemann. The highest price per square foot in 2011 was $1,818, for a 6,000-square-foot ski-in, ski-out home on almost two acres in Two Creeks in Snowmass Village. The home spent less than three months on the market and sold for $11 million, a slight discount from the $11.75 million asking price. The lowest rate was $586 per square foot for a 17,000-square-foot home in Woody Creek, although that was for a 70-acre property. More comparable with other sales was the $965 per square foot paid for an 11,600-square-foot home on two acres on the Maroon Creek Club golf course. The buyers of Aspen’s highest-priced properties are naturally among the top tier of personal wealth, and several of them have rankings in Forbes’ various lists. Aspen’s most expensive residential sale of 2011, for example, went to Stanley Kroenke, owner of a sports empire that includes the Denver Nuggets, Colorado Avalanche, St. Louis Rams, and the Colorado Rapids soccer team. The Missouri native amassed his wealth in real estate development, including building shopping centers around Wal-Marts. Kroenke controls an entity called Top of Mill LLC, which purchased two adjacent properties on Red Mountain for $20.75 million in November. Top of Mill LLC, registered in Missouri, also owns a $6.5 million townhome on South Mill Street, which was purchased in 2004. And Kroenke controls a second corporate entity called Wheeler Block Building LLC, which owns a building on Galena Street in downtown Aspen. Kroenke is estimated to be worth $3.2 billion by Forbes, where he is ranked #107 on the Forbes 400 richest Americans list and #440 among the world’s billionaires. He is also a majority shareholder in the English football club Arsenal and met his wife Ann Walton, a Wal-Mart heiress who is also ranked by Forbes, in Aspen in 1973. Another reason Kroenke may appreciate having a gracious home in Aspen is that he is also on the governing board of the Global Sports Summit, a conference for owners of professional sports teams. The conference was held last year in Aspen and is slated to be held here again in August. Topping Kroenke by more than 250 places on the Forbes Billionaires list is Graeme Hart, a packaging magnate from New Zealand who paid $16 million in February for a nearly 14,000-square-foot home on Star Mesa off of McLain Flats Road. The sale was a first for that area at that price level, said Ernemann, and it jump-started some activity in the neighborhood. Hart, who is ranked 185th on Forbes’ 2011 World’s Billionaires list, is worth $5.5 billion and is the wealthiest person in New Zealand. The self-made billionaire, who apparently once drove a tow truck, amassed his wealth through investments. He purchased the Aspen home through Aspen Kiwi Properties LLC. Pat Imeson, a venture capital fund manager who co-founded the now defunct Aspen Mountain Air, was the seller. According to a November story by New Zealand’s National Business Review entitled “NBR Rich Lister snaffles luxury Aspen estate,” Hart kept busy last year with major business deals and acquisitions. He bought Honeywell’s automotive parts business for $950 million and merged his packaging business the Reynolds Group (makers of the aluminum foil) with another packaging company for $4.4 billion. He also owns two properties in New Zealand, a Fijian island, and a $100 million yacht, according to NBR. Oil and gas wealth is well represented in last year’s most expensive real estate deals. Natural gas magnate Farris Wilks of Cisco, Texas – worth $1.4 billion, according to Forbes, bought the most expensive ski-accessible home in Snowmass Village in June. Wilks, who paid $16 million for the seven-bedroom home on five acres in the Pines, ranks #312 on the Forbes 400 list along with his brother Dan. The Wilks brothers are featured by Forbes as the “newest undercover billionaires. They started their careers as professional masons and then founded and later sold their share of a hydraulic fracturing company for billions. The founder and CEO of an oil refining company is also a new homeowner in the area. An LLC called Franklin Mountain Aspen LLC controlled by Paul L. Foster, chairman of Western Refining, bought a 10,700-square-foot spec home on Red Mountain in November for $15 million. The home was originally listed for nearly $24 million. Foster, whose net worth is $1.9 billion, ranked #261 on the Forbes 400 list in 2007, shortly after he took Western Refining public and saw its shares go up 190 percent. In 2010, Forbes ranked Western Refining #12 on its Risk List, which, with help from an accounting consultant, identified companies of greatest concern for getting into financial trouble or going under. Bill Wrigley Jr., heir to the Wrigley chewing gum fortune and #188 on the Forbes 400 list with a net worth of $1.6 billion, bought a $10 million home overlooking the Rio Grande Trail in Aspen in October. It’s not the first Aspen purchase for the chairman of the world’s largest gum producer. In 2004, Wrigley bought an $8.9 million home on Pitkin Way in his own name. Then an LLC he controls spent $11.5 million on the vacant lot next door in 2009. And now Wrigley’s Pitkin Way Enterprises LLC has purchased the house on the other side of the vacant lot, making for a large compound with a big view of Aspen Mountain. A West End property across from the Yellow Brick is the new home of Kroger chairman and CEO David B. Dillon. Dillon’s wife, Dee E. Dillon, is listed as the buyer of the $12.3 million home, which made headlines in April for being one of the highest prices ever paid per square foot ($1,852) for a home in that neighborhood. David Dillon’s great-grandfather started the grocery store chain that still bears the name and is part of the Kroger empire, which includes City Market stores. Dillon is 295th on Forbes’ Executive Pay list, having earned $10.3 million in salary in 2009. Dillon, whose parents owned a home in Aspen for 40 years, has been a frequent visitor to the area since he was a boy, according to a source close to the family. Two financiers who bought local property in 2011 have Forbes profiles but are not currently ranked on any Forbes’ lists. Antony Peter Ressler is a founding partner of Ares Capital Corp. Ressler, who works in the firm’s Los Angeles office, owns a home in Beverly Hills and he bought a $20.5 million Owl Creek estate on 77 acres in May. The property, which is now listed as being owned by Owl Creek Holdings LLC, is an apparent upgrade from his home in Snowmass’ exclusive Pines neighborhood, which Ressler paid $9.2 million for in 2008 and is currently worth less than $8 million, according to the county assessor. Ressler was a co-founder of Apollo Management and was with the company when it bought Vail Resorts out of bankruptcy and took the company public. And Paul B. Edgerley, the new owner of a $19.5 million corporate retreat in Starwood, is tied to a company that’s making quite a bit of news these days. Edgerley is a managing director of Bain Capital Partners, the Boston-based private equity firm co-founded by Republican presidential candidate Mitt Romney. The rise of international wealth is making its mark on the Aspen area, both in terms of tourism and real estate sales, and besides New Zealand, at least one more of Aspen’s rising international markets are represented in 2011’s highest-end home sales. Russian grocery store magnate Alexander Zanadvorov paid $13 million in February for a gated estate with a 1,700-bottle wine room and elevator to all four levels across from Aspen Highlands. Zanadvorov co-founded Sedmoi Kontinent, Russia’s first food retailer since the dissolution of the Soviet Union, which grew to 125 supermarkets and saw $1.27 billion in revenues in 2007. The company has been shaken up by the global financial crisis—it lost half its value in 2008 when Russian markets collapsed, according to news reports. Zanadvorov later bought most of Sedmoi Kontinent’s shares to become the sole owner, and last week reportedly sought to delist the company as its share price dropped the most it has in almost three years. And former Israeli Air Force fighter pilot Ephraim Gildor, a hedge fund founder who summited Mount Everest last year with locals Chris Davenport and Neal Beidleman, paid $13.5 million in August for a new estate next to the Northstar Preserve. The property, purchased via Warren Creek Mountain LLC, was previously owned by the late Aspen environmentalist Bob Lewis, whose eccentric old house – which had several aspen trees growing through the roof – was torn down and replaced by a spec home built by local developer Doug Throm. Also on the list of buyers was Aspen homeowner Jonathan Lewis and his family, who made headlines last year when they emerged as the buyers of the University of Colorado’s Given Institute property, for $13.8. After a failed negotiation with the city, which was trying to preserve the building for its architectural significance, the Lewises tore it down to make way for a single-family home. Editor’s Note: A version of this story was published in collaboration with the Aspen Business Journal. Journalist Catherine Lutz is a freelance reporter for the Business Journal and also serves on the board of directors of Aspen Journalism, a 501c3 non-profit. Journalist Brent Gardner-Smith is the editor and executive director of Aspen Journalism.